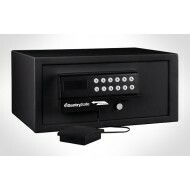 This Sentry under counter depository safe s uniquely designed to protect cash, receipts, deposit slips, keys and other valuables against theft and burglaries at the point of purchase. 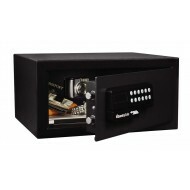 This is a great depository safe for convenience stores, restaurants, bars, hotels/motels, small cash businesses, pawn shops, independent store fronts and not-for-profit operations. 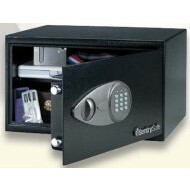 It is out of site, solidly built, and is easy to access. 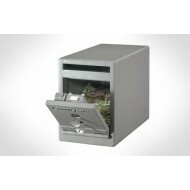 The Sentry Under Counter Drop Slot Safe is a "must have" for secure storage of cash. 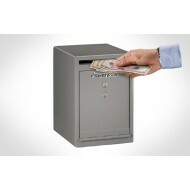 The UC-039K depository saafe is out of sight when mounted underneath a counter. 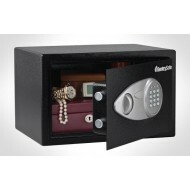 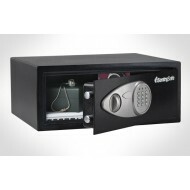 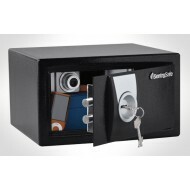 This depository safe is designed to protect cash, receipts, deposits slips and whatever you want to secure. 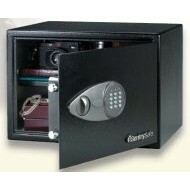 This is great choice for retail stores, offices that collect money, small business etc. 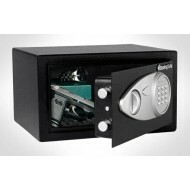 It has a dual key lock so it can never be opened without the manager's key.